Turbico Casino adds to the list of new online casino in 2019. So far, there have been so many new entrants all competing for a place in your heart. Meanwhile, Turbico Casino joins in that competition to win your attention by offering you a brand new gaming platform with a difference. Firstly, Turbico Casino greets you with an alluring impression. The fusion of some beautiful colours and the huge banners on display is surely a beauty to behold. Let’s not forget that the display on the banners is meant to get your attention. Hence, Turbico Casino offers a warm welcome bonus. Also, there are lots of eye-catching promotions on display. Furthermore, Turbico Casino presents a selection of exciting and highly energetic games to meet all your entertainment needs. The platform is state-of-the-art teaming up with some of the best game providers to ensure that you only get the best games. The welcome offer from Turbico Casino runs until your fourth deposit. This means that for every deposit that you make, you will receive some extra boost to get you in the mood. The welcome offer is only available to new layers above the age of 18 years. Also, players who receive the welcome offer are expected to wager it a number of times before requesting for payout. Meanwhile, the new casino bonus can only be used on selected games. This means that it is not every available game that contributes to the wagering term. After enjoying the welcome offer, there are plenty of promotions. These promotions are added from time to time so you might want to stay up to date. 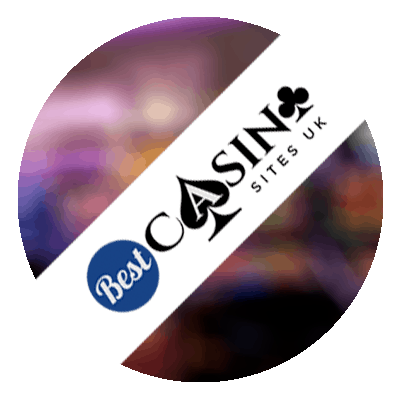 The live casino features a superb live transmission from the live casino studios. The feeling is so immersive that it looks like you are playing on a live casino. so, if this describes what you love, Turbico Casino presents a selection of live casino games that includes Baccarat A’ Blackjack Classic 9; First Person Roulette; Fun Blackjack; Lightning Roulette; Svensk Roulette; Live Casino Hold ’em; Immersive Roulette; Football Studio; Speed Baccarat and many more. So far, the selection of live casino games at Turbico Casino is quite much. Other popular titles include Napoleon; Primal Megaways; Guns N Roses; Danger High Voltage; Diamond Monkey; Immortal Romance; Book of OZ; Lost Island; Jungle Jim; Gonzo’s Quest; Book of Lords; Dead or Alive; Starburst; Gorilla Go Wilder; Divine Fortune; Vikings and many others. Turbico Casino compiles a list of some secure and fast payment alternatives to ensure that players have plenty of options to choose from. Typically, deposits are instant. However, all withdrawals are subject to a pending time of 24 hours. The processing time takes between 3 to 7 days depending on the selected withdrawal option. While a majority of the electronic wallets offer a faster payment alternative, direct bank transfer and credit cards require more time. However, with the quality of the team at Turbico Casino, they ensure that the pending and processing time is reduced as much as possible. As a matter of fact, they try as much as possible to cut down any delays from their end. With the provisions of fast payment methods already in place, it is safe to say that you will certainly enjoy a smooth banking operation at Turbico Casino. At Turbico Casino, it’s all about you. The platform offers support to players via email and live chat. Unfortunately, this service is not available round the clock. However, the response is quite fast. So, feel free to use the live chat if you need an immediate response. As for the email, the team responds within 24 hours. Meanwhile, the FAQ section has so many information that provides answers to some of the most frequently asked questions. Turbico Casino is a brand new platform that offers Irish players a different perspective of online gaming. Also, the platform features some of the best selection of games from top software providers that includes NetEnt; Novomatic; Blueprint games; Microgaming; NYX Gaming; Big Time Gaming, etc. With all that they have put in place, it is certain that you will surely have a great gaming experience.